With global concerns over green house gasses and climate change, finding solutions to the main causes of pollution has taken over the car industry over the past several years. Electric cars have been on the market for years, but their sales have failed to take off. However, this May has proven to be a very successful month for the new energy vehicle (NEV) market. What caused this increase in both production and sales of NEV’s? May of 2017 proved to be a very successful month in the new energy vehicle market. This month 51,000 NEV’s were produced which is up 38.2 percent compared to last year. What is even more shocking than the increase in production is the increase in sales. A total of 45,000 NEV’s were sold, this is a 28.4 percent spike compared to last may. Local auto-manufacturers such as BYD and BAIC Motor Corporation saw such a boost in sales, that their sales rivaled better known competitors such as Tesla. Tesla has been the leading competitor in the industry for the last several years. Overall last year China sold roughly 507,000 new energy vehicles. This is up 53% from the year before, and is the largest NEV market in the world. This increase in sales had no effect in total number of vehicles sold. The total number of vehicles sold this May compared to last may stayed relatively consistant. So why was there such an increase in NEV production and sales? China’s NEV sales spiked this may for several reasons, one of the largest reasons is thanks to the government. 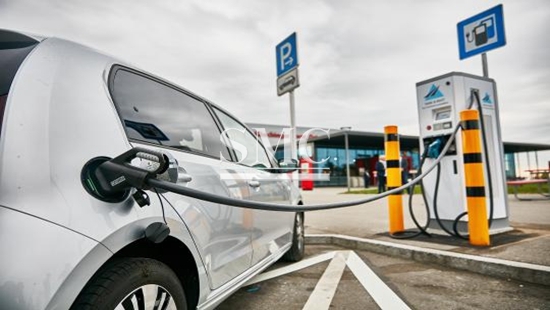 Even though the government subsidies for manufacturers reduced, government officials on the central and local levels, have began offering subsidies for the contruction of charging stations around cities. While these subsidies have been growing rather rapidly the government said that they will be capped by the year 2020. Officials say that they are hoping for the production of higher quality vehicles that have longer driving ranges. This will make it a closer competition between Tesla and Chinese based companies. The government believes that by that time NEV sales will be nearly four times the rate it currently is. The Chinese NEV is expected to have several companies strong enough to rank in the top ten by the year 2020. This comes as no surprise with China’s plan dubbed “Made in China 2025”.